If you have been following me throughout the years, you know we love a good game like Pong Hau K’i you see here. DIY games are often just as satisfying as store bought, but with the benefit that they can often be played on the go. The kids and I have been “collecting” easy to learn games from around the world. It’s fun to learn about what kids far away are playing, and how similar they are to our own classic games. 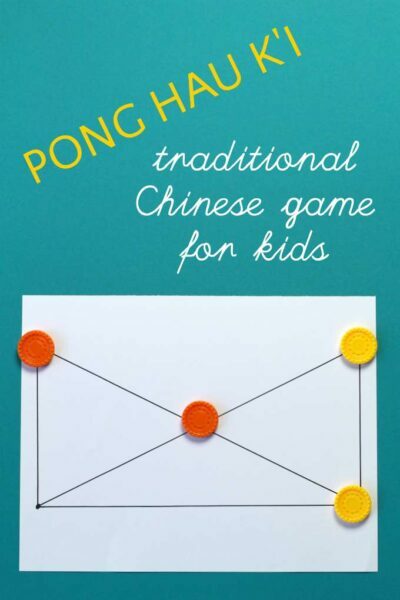 Today I have a new game post over at Multicultural Kids Blog about Pong Hau K’i, which is a simple, traditional game from China. It is also known as Ou-moul-ko-no in Korea. Watch my quick video below to see Pong Hau K’i in action and then hop over to get the full instructions for how to play the game at Multicultural Kids Blog.